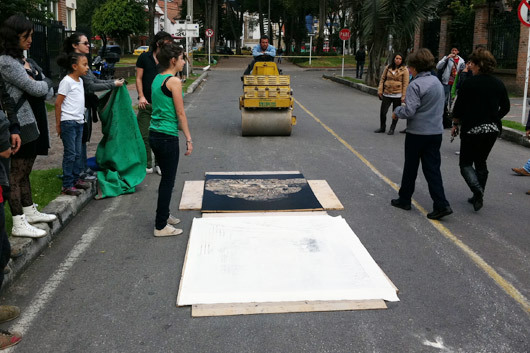 Last Saturday, I went to an event happening in front of the Galería Santa Fe. Art and environment, that was the topic. The movement is to show awareness about the scary fall of biodiversity in Colombia and in the rest of the world. Some vegetables were dancing Colombian music and reggaeton, it was quite fun. 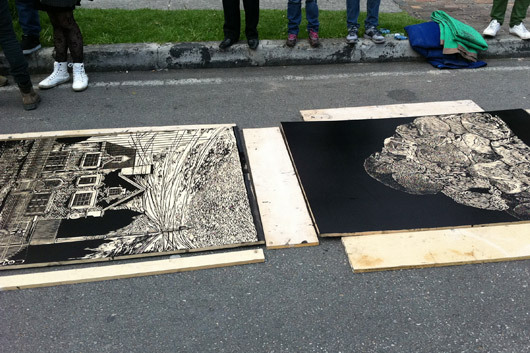 There was also those large-scale prints with wood on canvas, the press being the little truck we can see on the picture. Cool. Sorry, the pictures are not that great as I took them with my Iphone. I need to get a good camera that I can take out on the street. Because with my massive lense, it’s not really ideal in Bogotá. Any recommendations? 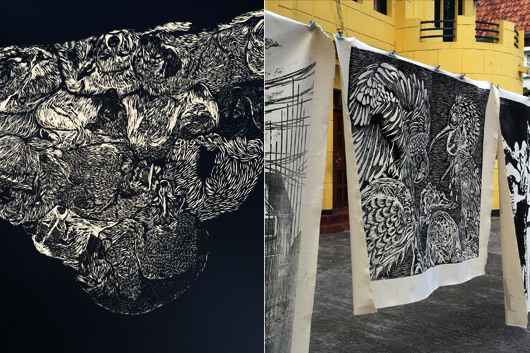 Want to know more about Galería Santa Fe and its events? Link to their Website. I should have stolen it from you when I had the opportunity… Those Colombian people man, always trying to steal those poor “Gringos”! (Well, maybe they are right…) 50 euros and I take it.